Lab assistant Dave Ferguson holds up stem cell cultures in a lab at the Reeve-Irvine Research Center at the University of California, Irvine. In 2004, Proposition 71 passed with nearly 60 percent approval. The California Stem Cell Research and Cures Initiative promised stem cell treatments for nearly half of all Californians. 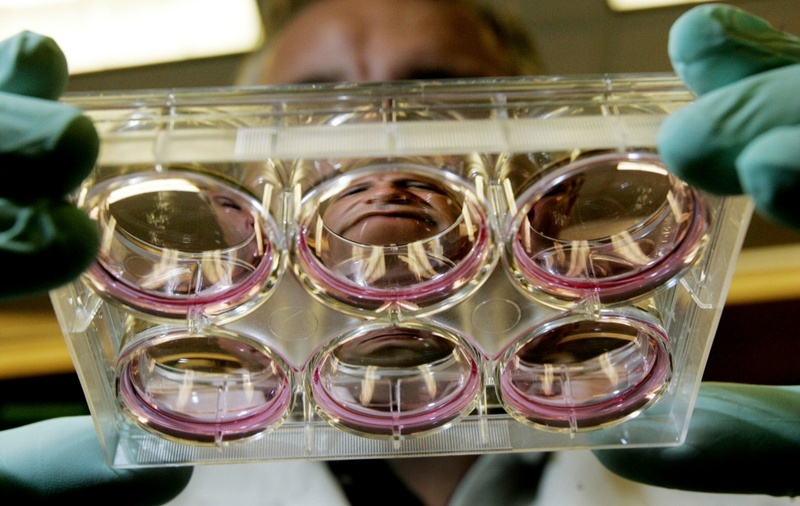 Voters approved a $3 billion bond to fund the science of stem cell therapy. The California Institute for Regenerative Medicine, or CIRM, was created to manage the funds and find solutions to the world’s cruelest diseases. Fourteen years later, according to an investigation by the San Francisco Chronicle, the money voters approved is nearly gone. Supporters of CIRM still believe in the effort. They need another $5 billion, arguing if the bond isn’t approved in 2020, it could devastate stem cell research in the Golden State. So did the initial $3 billion bond measure for stem cell science pay off? We debate.